One server, four outputs... 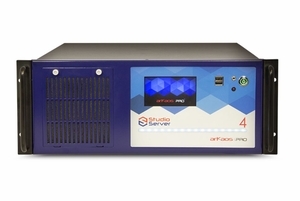 The Studio Server is a powerful system designed for professional Lighting Designers. The Studio Server is an incredibly powerful system designed for professional Lighting Designers. This full-option media server runs Full HD video on up to four EDID managed outputs and comes standard with one HD-SDI input and fast SSD drives. This incredibly powerful system embark a vast library of high quality digital media from the world’s best visual content providers and a fast recovery system by Acronis which allows extremely simple reset of the server from the boot menu.